The iCloud Message sync feature from Apple has been a much-anticipated feature for quite some time now. With every new iOS release, we have checked to see if the feature made it to our devices. iOS 11.4 is here to help you fulfill that desire! The ability to save your messages in the iCloud and have it synced across all your Apple devices briefly appeared when Apple released the original iOS 11 betas but was quickly removed for some internal reasons. 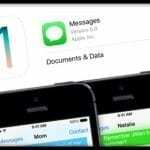 2.1 Why Should I Use Messages in iCloud? 2.3 Worried About Privacy on Messages in iCloud? 3 Does Messages in iCloud count against my 5 GB storage limit? 3.1 Consider Sharing Storage with Family Sharing! 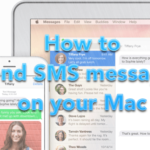 6 How to Use iCloud Message Sync? 6.1 Don’t See Messages in iCloud on your Mac? 7 Messages in iCloud Option not appearing in iCloud Settings? 9 Don’t Want Messages in iCloud? 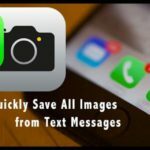 Many of us like to save our old iMessages and text messages. If you use messaging on your Apple Watch today, you know that it requires you to explicitly delete a message in order to remove it. In other words, it does not sync automatically with your iPhone Messaging service. You would guess that deleting a message from your iPhone will auto-delete it from your watch, but that doesn’t work without Messages in iCloud. There are users who also prefer setting up their iPhone as a new device when major iOS upgrades are released. The idea being that any bugs in the existing software are completely removed when installing the new iOS. These users have had to struggle to figure out a way to retain their message history. Messages in iCloud aims to keep all your text conversations up-to-date across all your Apple devices, including iPhone, iPad, Apple Watch, and Mac. Whenever you set up a new Apple device or when you delete a message from one device, with Messages in iCloud enabled that change syncs to all your devices. No more deleting on each and every device! Why Should I Use Messages in iCloud? Message backups have always been available prior to this new feature that Apple introduced. So what’s the big deal about this feature? 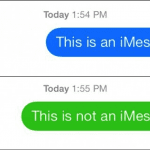 Yes, your messages were already accessible on all your devices, but that’s only for the messages that they started receiving once they were connected to iMessage. If you get a new iPad and sign into iMessage, you will now get all iMessages that go to your Apple ID or phone number FROM THAT POINT ON, but you don’t get to see the conversations from BEFORE you got the iPad (unless you restore from a backup). Messages in iCloud allows your new devices to get ALL stored messages in iCloud and syncs them in real time. Now you don’t have to restore from a backupto see your existing messages. More importantly, if you delete a text or iMessage or attachment on one device, it will be deleted on your other devices (that have Messages in iCloud enabled). You don’t have to go manually delete the item from all of your devices. (Apple Watch doesn’t do iCloud sync yet. You have to delete it manually or it auto expires after 30 days. We haven’t tested any new changes in watchOS 5 beta as it related to the syncing feature). Like To Save All Your Texts, Messages, and iMessages? Messages in iCloud stores everything–we mean EVERYTHING including attachments, photos, etc in iCloud. And that frees up some of your device’s storage so you can download other things, like more music, apps, photos, and so forth. You need to update to the latest iOS version (iOS 11.4), and macOS (10.13.5 or higher) in order to have this feature. When you delete a message, photo, or conversation on one device, it’s removed from all of your devices. You need to have the Apple ID in iMessage match the Apple ID being used for iCloud. It doesn’t need to match the iTunes/App Store ID. It is best to leave your devices to sync overnight while they are plugged in. If icloud for messages is not working as desired, sign out and sign in to iCloud and then sign out and sign in to iMessage. This should take care of message sync issues. Worried About Privacy on Messages in iCloud? All your messages are encrypted end-to-end. So no one else, including folks at Apple, can read that data. Apple has always been a big believer of user security and privacy features. According to their security document, the imessage sync feature in icloud is encrypted and secure. Tap on Settings > Apple Id > scroll down and make sure that you have enabled iCloud backup. The only caveat is that since the key is stored in iCloud backup, Apple will have access to it and can share with authorities in the case of a warrant ( for the uber security users). If you want it totally secured and only accessible to you, then you can turn off iCloud backup if you are worried about it. A copy of this key is also stored in your iCloud keychain which is again protected by your device passcode. NYTimes recently did a detailed article about Apple and access to user data. You can also read more about security and setup in this white paper from Apple. Does Messages in iCloud count against my 5 GB storage limit? Yup, it does. When you use Messages in iCloud, all of your texts, iMessages, and any photos or attachments you send OR receive count against your total iCloud storage. So if you use the free 5GB iCloud plan (that’s what comes with any Apple ID,) you may need to upgrade to a paid plan if you intend to store all your texts, your photos, and any other documents and app data. iCloud Storage Plans start at 50GB for USD $0.99/month. There’s also a 200GB and 2TB plans for additional monthly fees. We have added a iCloud storage saving tip at the bottom of this article. Consider Sharing Storage with Family Sharing! Family storage sharing gives everyone access to the iCloud storage plan but you only manage one plan. 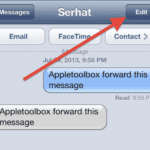 How to Use iCloud Message Sync? Don’t See Messages in iCloud on your Mac? 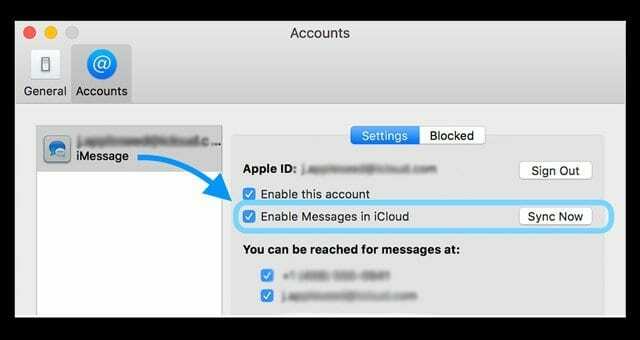 Some users have found that inspite of upating to the required macOS for this feature, they cannot locate the ‘enable messages in icloud’ checkbox on their MacBook. If you find yourself having this issue on your MacBook, the following sequence of steps should help you. Log off from your iCloud account. Log off from your Messages app. Relogin to your iCloud account. Open Messages app, open Preferences pane, login to your Messages iCloud. Close Preferences pane, and open it again. 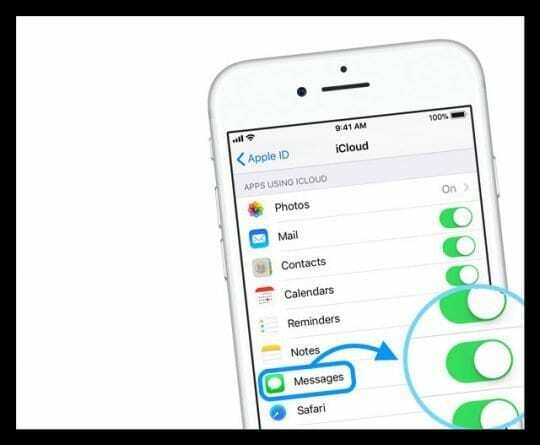 The setting for enabling messages to icloud should show up. 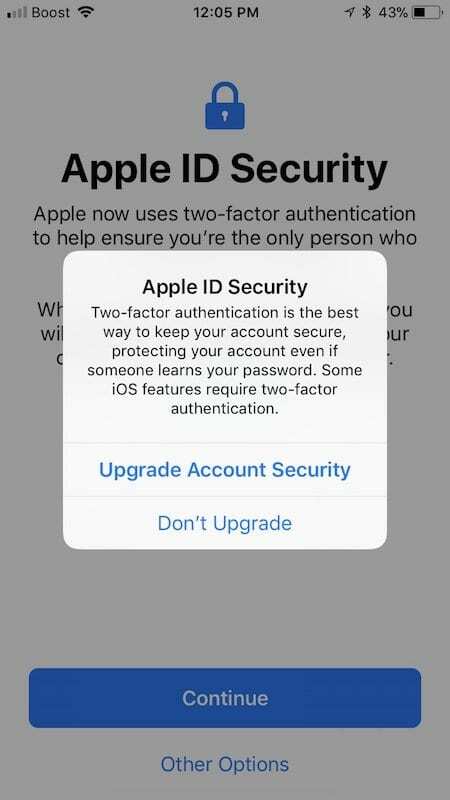 Two-factor authentication for your Apple ID Required! If you are not yet set up for 2FA, follow the prompts and you can easily set it up. Once you have done that, it requests you to enter your device passcode. What is interesting is that all my devices had different message histories and every time I added an additional device, it added in the unique messages on that device into iCloud and copied all the missing messages to that device. 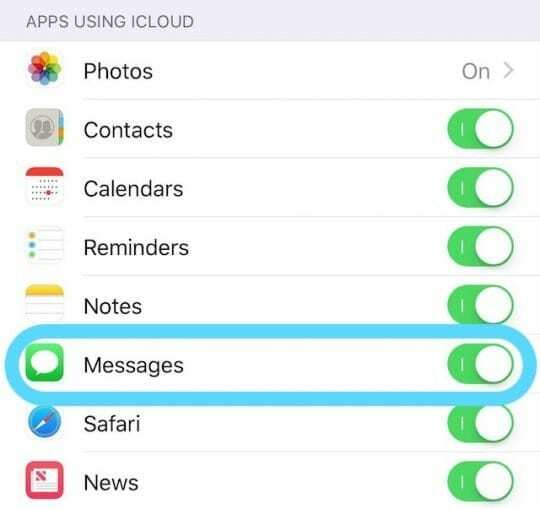 Messages in iCloud Option not appearing in iCloud Settings? If you don’t see the Messages in iCloud toggle after you updated to iOS 11.4, it’s likely that iOS is cataloging the size of your Message App Data. Many of our readers found out that there was no “messages” option under icloud apps immediately after updating to iOS 11.4. Some experienced a long delay, up to 24 hours, in seeing this feature option after updating. Don’t panic! Wait a few hours and check again. The appearance of this Messages in iCloud toggle depends upon the number of messages (and all attachments/photos) that iCloud needs to upload. 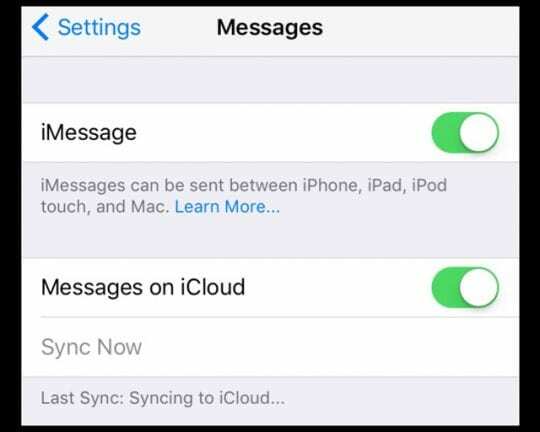 Once you set up and enable the messages in icloud feature, you should allow it some time to sync it up. What has worked for us is to enable the feature and plug the device overnight. Its also important to make sure that you have adequate iCoud storage space if you intend on using this featire. Tap on Messages and here you can select the conversation thread to see if it has completely updated. 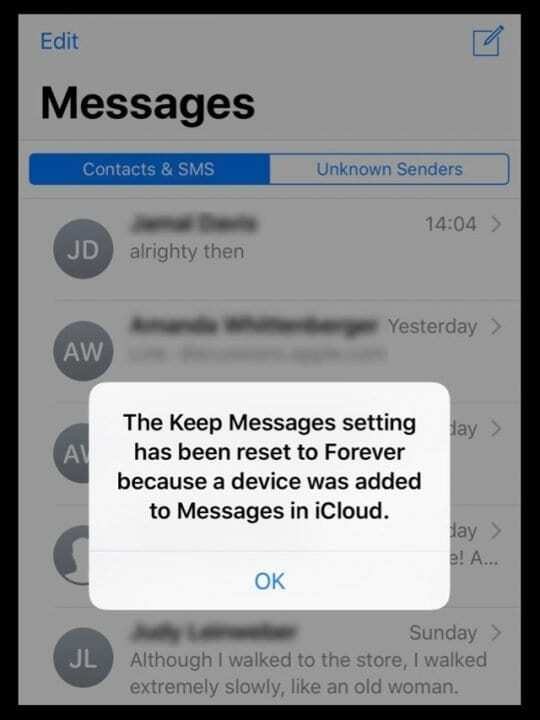 Don’t Want Messages in iCloud? When you turn off Messages in iCloud on an iPhone or iPad, your message history is included in a separate iCloud backup. Many of us have upgraded our iCloud plans to take advantage of the new Apple features. There was a lot of hope that Apple would increase the free 5GB storage to a higher storage offering during WWDC but that never happened. If you are struggling with your iCloud storage plan after enabling messages for iCloud, here is a quick tip that might be helpful in freeing up your iCloud storage space. 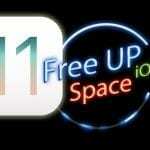 We were able to save off more than 60% of the iCloud space using this simple tip. We hope that you find this useful. It appears that sometime the iCloud backup ends up creating double backups. This will help in removing the extra backup thereby freeing up your iCloud storage. We think Messages in iCloud is great for those folks with small storage devices and who want to keep their text messages indefinitely. With Messages in iCloud, all your texts sync between devices and update automatically. That way, you always have the same messages showing up. 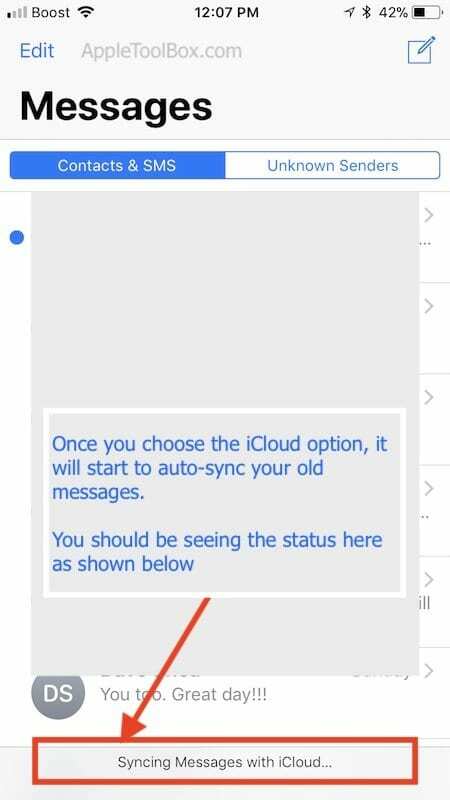 Any update on the availability of iCloud sync for Messages? I’m running 11.3.1 with 2FA, but still do not see this option.